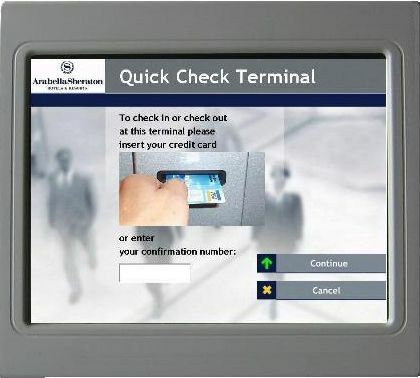 Kiosk systems for customer check in were first introduced by airlines. These systems have since expanded into other areas like hotels. For several years I have worked on a kiosk system for hotels and cruise ships. I also helped a kiosk vendor to integrate their system with access control systems in the hotel market. Hotel kiosk systems require a lot of complex integration - with a property management system (PMS), credit card handling, room access system and various hardware. I have designed and implemented a kiosk system, a PMS data server and a kiosk data communications protocol for Micros-Fidelio, one of the leading vendors of hotel systems worldwide.